All 16 New Balance coupons have been verified and tested today! New Balance customers are always on the go, which is why you can now do your shoe shopping from anywhere, at any time on the free app. The New Balance app is available for both iPhone and Android users. You can download the New Balance app from the App Store for iOS or the Google Play Store for Android. Start making money with New Balance through your own website or blog. 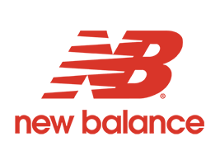 Join the Affiliate Program and start generating revenue by promoting New Balance on your homepage. You can start earning commission on click-thru sales from New Balance advertisements and links. As an affiliate member, you can earn extra cash and show your support for a great brand of high-quality shoes. You can also include New Balance links through your email campaigns and search listings. Commission rates start at 7% and the average order is over $120. New Balance will take care of all transactions and customer service on purchases made through the link and pay you a percentage of the sale. Apply for the program on the website by clicking “Join Now” and fill out the registration form to get started. College students get to save every day of the year with the New Balance Student Discount. Get 15% off every purchase when you verify your student status with UNiDAYS. Once you create an account with UNiDAYS you can log in and start saving. Claim your discount today by registering your university email address online. With a discount this big, you’ll always get to class in style. New Balance is the official footwear for the US Navy and US Marine Corps. All service members will also receive a 10% discount when they sign-up with their military email address at Check Out. Once you enter email address online, your savings will automatically be applied to your purchase. No special New Balance discount codes or coupons needed. Plus, this discount has no exclusions, so military members can use this discount on every item in the store. Worried about how your new pair will fit? Don’t worry, New Balance has you covered. When you shop online, you’ll get free returns on purchases every day. Simply return your item in new condition within 30 days from when you purchased it and you’ll get your money back to your account. Just enter your order information online and print your return label for free. No New Balance promo code necessary. Ready to take your savings the extra mile? Start using New Balance promo codes to save big on all of your purchases. With the myNB Rewards Program, you get a step closer to savings with every purchase. As a rewards member, you can earn points by shopping online, through the app, or in participating stores. Membership is free and easy. You’ll receive 10 NB points for every $1you spend. Redeem your points for your choice of rewards like a $10 off New Balance coupon, race entries, and much more. The more you spend, the more you can save. Once you sign-up you’ll be a Bronze member. If you spend more than $2,000 you’ll become a Silver member. Spend more than $5,000 and you’ll become a Gold member. Register to start making the most out of your purchases with New Balance today. Want to get free pairs of shoes sent right to your door without using a New Balance promo code? With the New Balance Product Testing program, you can grow your shoe collection and get never released styles just by giving your feedback and opinion to New Balance. Becoming a product tester is easy. Go to the website and tell New Balance a little bit about yourself in the product test profile. When you’re finished, you’ll join the New Balance Tester Community. As a community member, the Product Testing team will contact you when there is a new shoe prototype to test and you’ll receive it in the mail. Walk around town - or just your home - in your brand new pair and give the testing team your feedback. Get free shoes and feel like you’re making a difference - sign-up for the testing program today!